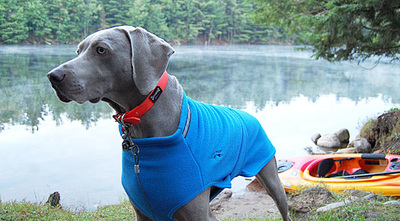 The fleece Chilly Sweater™ is perfect for those cool Spring mornings. 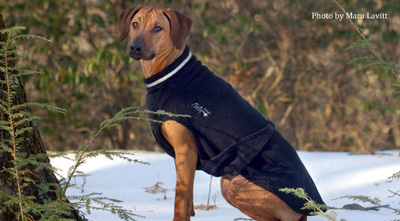 It makes a great spring/fall sweater, car coat, kennel coat and can even be worn indoors on cold winter nights. We love it camping! The Chilly Sweater™ can be worn on its own or under our Rain Slicker™ for extra warmth. 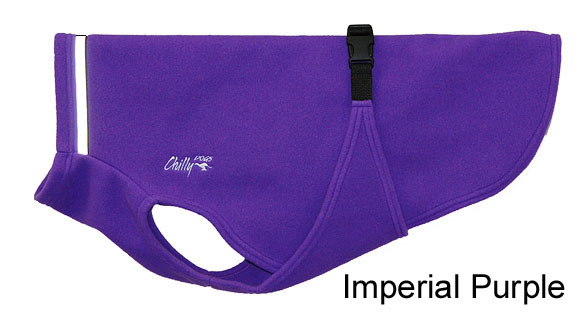 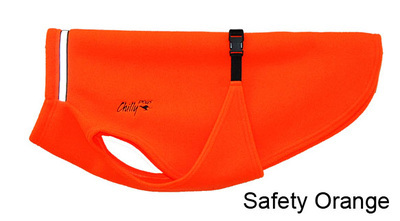 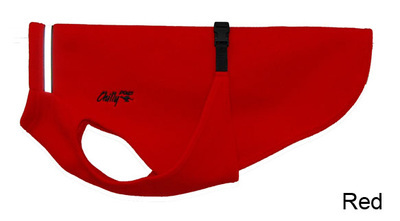 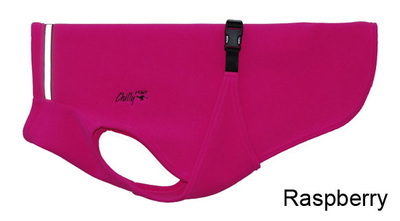 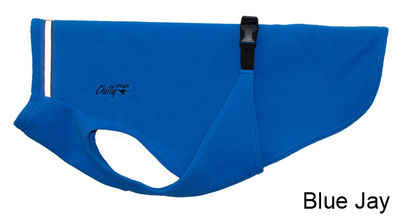 The sweater is simply slipped over the dog's head then the "Y" shaped belly panel is pulled down and back between the front legs, then pulled up over the dog's back where the webbing is adjusted and the buckle is fastened. 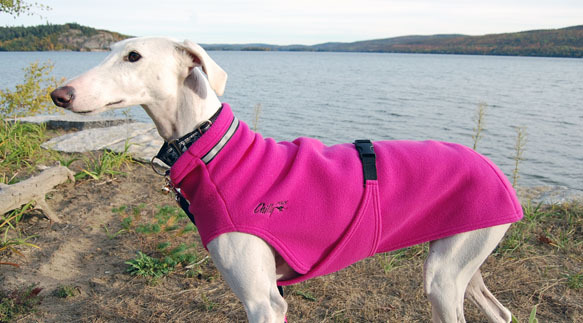 All our coats feature an "Easy On, Easy Off" design. 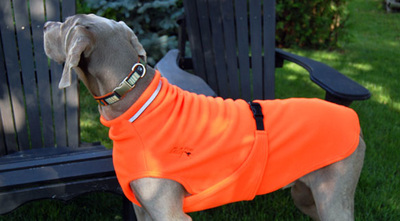 3M Scotchlite® reflective trim for night visibility.